I haven't done any thrift store shopping the last couple of weeks. But my mom did give me these beautiful Mikasa Cheers highball glasses last time I visited. 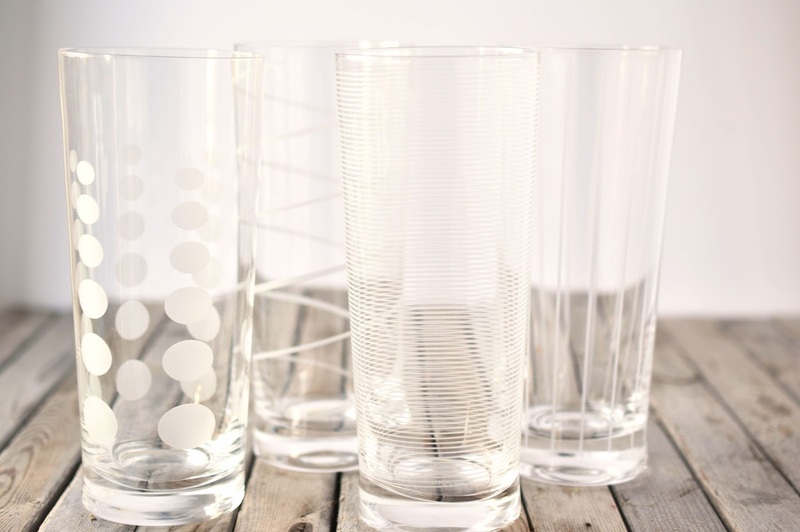 These glasses are tall and thin, and etched with dots, lines, and swirls. I think they'll look lovely with a nice girly pink cocktail inside. Mom got the Mikasa glasses as a gift from the Niagara Fallsview Casino. Actually she has passed a few gifts she got at the casino on to me - a soft robe, a king-size duvet and a wireless indoor/outdoor thermometer set. Mom hasn't been able to get to the casino as often lately, so she didn't get invited to her usual VIP September birthdays celebration this year. Which means no gift for her...and therefore no gift for me, haha. We do have one night at the casino resort hotel booked for October, so we'll be enjoying a little overnight in Niagara Falls. And maybe Mom will get a gift at Christmas? 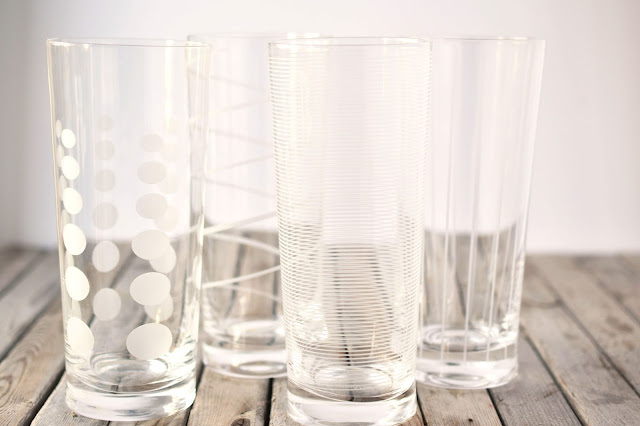 May I suggest some Mikasa Cheers white wine glasses? Have you been to Niagara Falls? How about your local casino? I'm not a gambler myself (can't stand to lose money). How about you? Hi Joann, thanks for hosting Vintage Bliss 99. Appreciated. Hi Joann, I have never been to Niagara Falls but my husband wants to go next year. I don't go to casinos as I don't want to lose money. LOL! Thank you for the party. I love your new glasses.